It's not too much longer until Mirai admonishes her big brother for that cruel act. You see, traditional dolls have been set out for her first Hinamatsuri, but the legend goes that every day that passes without the dolls being properly put away means it'll be one more year until Mirai will wed. Future Mirai isn't keen on being unable to marry her beloved on her own schedule, so she leaps back in time to set things right. Kun grudgingly agrees to lend a hand, but Dad is too buried in his work to acknowledge his son's friendly reminder, and Mom's out of town. So, Kun, Future Mirai (who cannot coexist in the same time and space with Newborn Mirai), and their occasionally anthropomorphic pup Yukko join forces to solve this crisis together. You know what happens from there: two siblings from different eras travel to the past to save the future. Or, at least, perhaps you think you've figured out the beats of the plot. Mirai is hardly the film that many viewers would assume it is. This isn't a high-concept fantasy/adventure; it's a series of vignettes that build upon one another to convey the film's messages about growth, responsibility, and family. 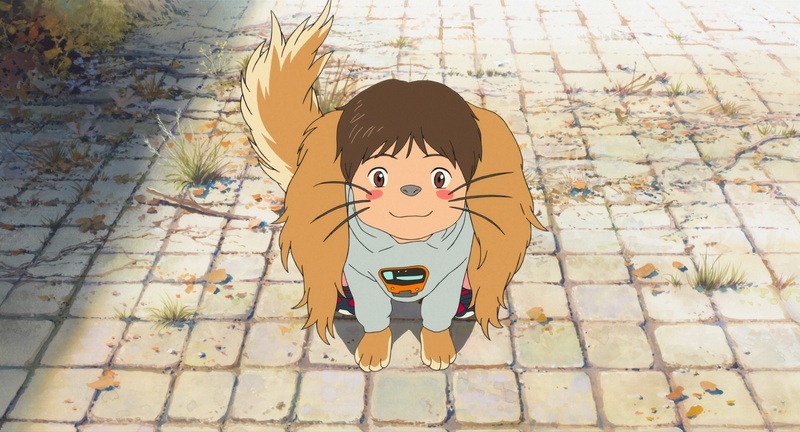 Writer/director Mamoru Hosoda (Wolf Children; The Girl Who Leapt Through Time) alternates between Kun's everyday life in a world very much grounded in reality with visually entrancing journeys: be it traveling to decades past or to the sorts of fantastic realms of which only a child's imagination could conceive. Admittedly, this fractured narrative approach has proven somewhat divisive, even among admirers of Hosoda's other films. Future Mirai (whose name, incidentally, translates to "future") is not the fixture throughout the film that its title would suggest. There is no villain to vanquish, no heroine in need of rescue, and no treasure to obtain. While there is a point when Kun is hopelessly lost and aches to return home, that's not the driving force of the plot. The lack of a singular destination or tangible goal may be dissatisfying to some, but that's entirely by design. Kun isn't searching for a who, a what, or a where, but along the way, he's rewarded with something far greater. It's through connecting with his family at profoundly different points in their lives that he comes to understand them: how the decisions they made and events thrust upon them shaped not only their own lives but Kun's as well. A four year old's perception of the world around him is almost certainly going to be selfish – not out of malice but simply because children like Kun don't have a frame of reference beyond their own needs, desires, and limited experiences. Through these travels – regardless if they're real or imagined – Kun sees firsthand just how much he and his mother have in common. 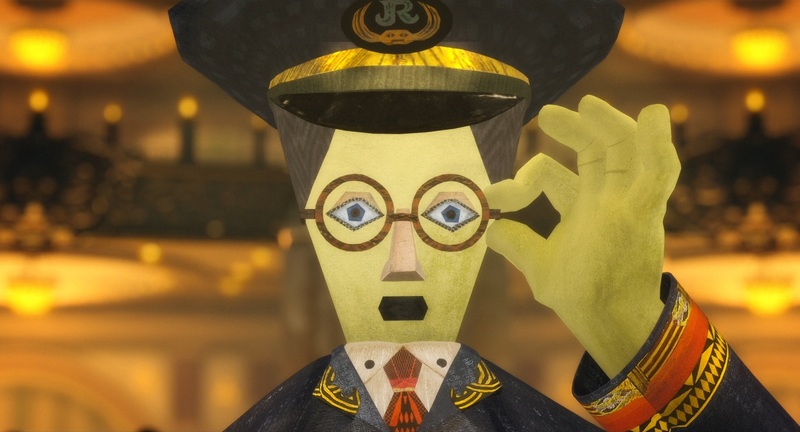 He admires his late great-grandfather's resiliance and wit. It strengthens him in turn. While there are certainly bumps along the road – Kun remains, after all, a four year old, so he by definition is immature and still prone to throwing tantrums – this greater perspective leads him to be a better person, one that's capable of achieving far more than he would ever have dreamt possible. Mirai is exceptional. 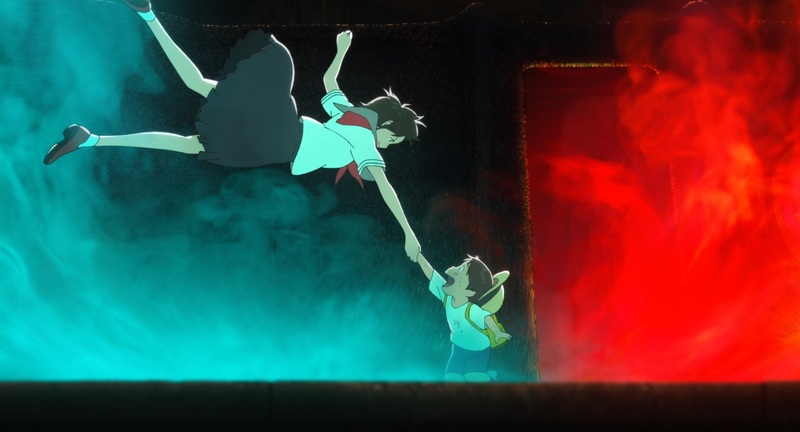 As ever, Mamoru Hosoda strikes a brilliant balance between fantasy and reality. The film's premise and emotional beats resound all the greater because Kun, Mirai, and their parents don't come across as characters; they're people. (Except Yukko. He's a dog. Well, sometimes he's a person too.) 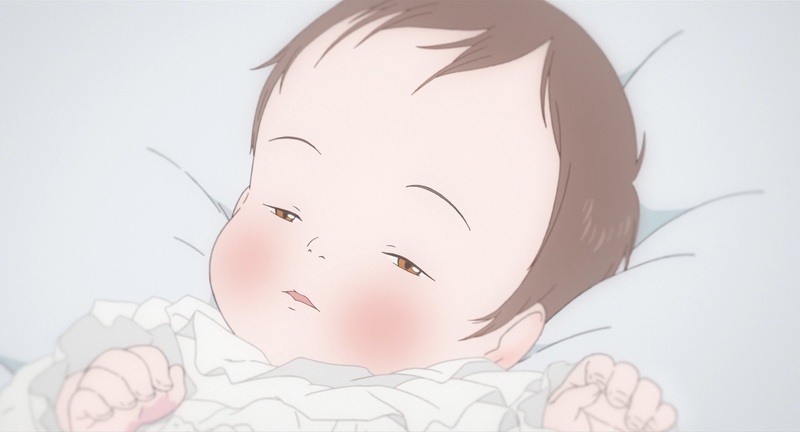 Mirai is defined as much as by its subtleties – say, the tiny twitch in newborn Mirai's hand as Kun reaches out to touch it – as it is by its grand, sweeping fantasy. A sequence revolving around stealthily putting dolls in a box is both wonderfully suspenseful and laugh-out-loud funny. There's a feeling of genuine triumph when Kun rides his bike without tumbling over. Kun and a newfound pal upending a house proves equal parts exhilarating and horrifying. I couldn't tell you the last time I was as aghast watching a film as I was when Kun prepared to smash a train into his baby sister's head. It wasn't a swift, reflexive act of violence. This was a deliberate decision, Kun had ample opportunity to stop himself as he made sure all eyes were on him, and his parents stood in frozen disbelief, unable to intervene before the collision and resulting wail. It's telling that when I think of Mirai's most memorable scenes, it's those relatively grounded moments that spring to mind rather than, say, a furry wolf-train, a two-dimensional station attendant cut from paper, or Kun swimming through a floating sea of fish. And because this is a generational story, it's further appreciated that Mirai charts not only Kun's maturation but his father's growth as well. When Kun was born, his father hid behind one set of responsibilities to avoid another, and now he's doing his best to make up for that by taking on an unfamiliar role he's struggling to manage. Nominated for an Academy Award for Best Animated Feature, Mirai honors and respects children in a way I've rarely seen on film. Kun isn't calculatedly precocious, and Hosoda doesn't remold a petulant kid into some sort of societal ideal. It instead celebrates a child's logic and perception of the world around him. Mirai rings all the more true having seen some of this unfold in recent years with my own nephews, who have a similar spread in age as Kun and Mirai. I'll admit to not embracing the film quite as readily as I have Hosoda's other work, but that's not a misstep on his part. Mirai's success stems from its insistence on an unconventional approach and non-linear storytelling. It doesn't bend to viewers' desires and expectations, and those who struggle to see the world from the perspective of a four year old will likely walk away disappointed. To the more adventurous – those of us who, perhaps, haven't quite let go of our inner children – Mirai is a deeply rewarding discovery. Highly Recommended. I wish that either some of Mirai's extras could've been relegated to a second disc or that the film itself could've been better prioritized in terms of bitrate. The many hours of extras devour more than half of the capacity used, saddling the film proper with a middling average video bitrate around 19 Mbps. The video on the Japanese release, by comparison, reportedly averages 36 Mbps – nearly double what we're seeing here! – and its slimmer selection of extras are indeed delivered on a dedicated disc. Though these authoring missteps are hardly ruinous and in no way a dealbreaker – I guarantee that the overwhelming majority of viewers will not notice – it's still a mild disappointment that the presentation has been compromised even to this limited extent. It's also very much worth nothing that, depending on which language is selected, Mirai branches to different versions of the opening and closing credits. 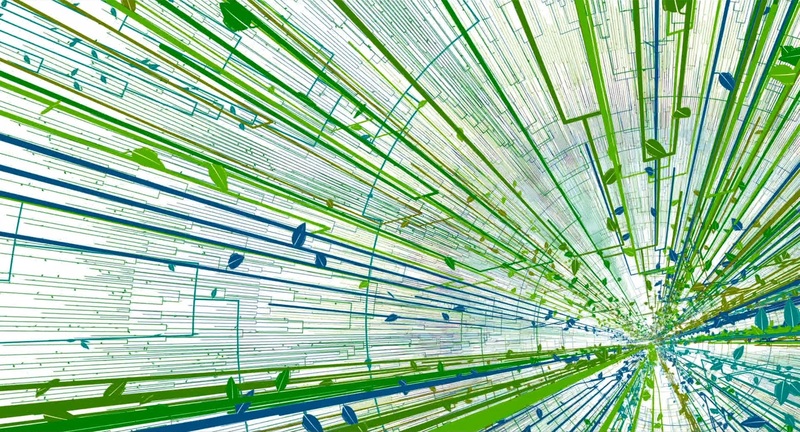 Mirai offers a choice between two 24-bit, six-channel DTS-HD Master Audio soundtracks. The disc defaults to the English dub, which features the voices of John Cho, Rebecca Hall, Daniel Dae Kim, and Dean Venture himself, Michael Sinterniklaas, among quite a few others. Despite the obvious talent in that lineup, the clash of English voices paired with such distinctively Japanese visuals didn't play well to my ears. (For what it's worth, Kun comes across as more of an insufferable brat in English.) As is invariably the case, I found myself greatly preferring the original Japanese audio. Still, regardless of which language viewers opt for, the technical end of this aural presentation leaves no room for complaint. The lossless audio is wonderfully immersive. The score by longtime Hosoda collaborator Masakatsu Takagi engulfs every inch of the room. The sound design places great emphasis on directionality and atmospherics, whether it's the discrete placement of neighs and excited barks, Kun throwing both a tantrum and a tubful of toys, a couple of rugrats reveling in the havoc they're wreaking throughout the house, soaring through the sky only to plummet headfirst into a treetop, Kun swimming through a stream of untold thousands of fish, or the inescapable bustle of a train station. I found the film's storms particularly convincing, most strikingly the one that rages as Kun's playmate is mercilessly scolded. The light rainfall in the background as Kun and his mother thumb through a photo album sounded so real that I assumed it was indeed raining outside and had to be told otherwise. Early transitions from mundane reality to impossible fantasy are accompanied by a colossal gust of wind – matching the camera as it whirls around – and I can't imagine those shifts being nearly so impactful in plain jane stereo. Bass response can be thunderous as well, particularly the nightmarish bombing in a vision of WWII. Every element in the mix is exceptionally clean, clear, and distinct. While I typically avoid Neural:X upmixing when writing reviews, I left it enabled for Mirai, and the result comes remarkably close to approaching Atmos quality. The train station sequence in particular stands out: the roar of bullet trains overhead, the clanging bell, and the snarl of the Wolf Train coming to a stop. I could very easily keep going, having filled nearly an entire page of notes marveling at Mirai's audio. Far more succinctly, I could just say that it's perfect. 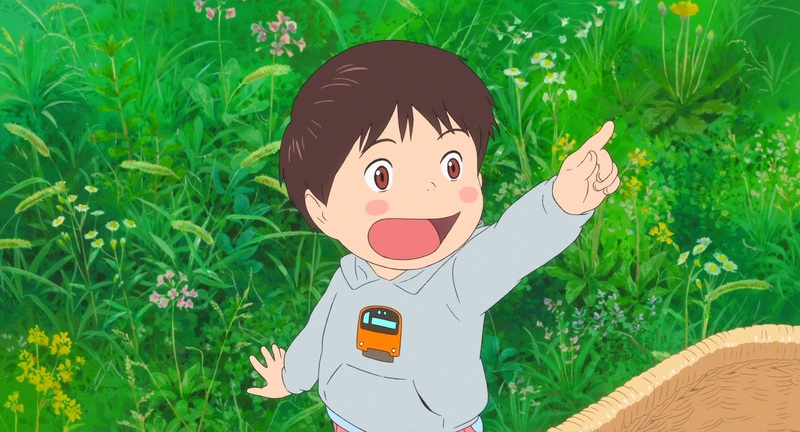 Mirai features two English subtitle streams. The first is an SDH track based on the English dub, and the other is a proper translation of the original Japanese dialogue. Also included is a set of Spanish subs. Interview with Director Mamoru Hosoda (38 min. ; HD): A thoughtful, comprehensive conversation with Mirai's director leads the disc's hours of extras. Hosoda speaks about the new challenges posed by this film, the symbolism of hills (such as the one on which this family's house was built), and what his cast was uniquely equipped to bring to these characters. I particularly enjoyed hearing his thoughts on the diminished role of children and animals in anime in recent years, the struggles faced by kids that are too rarely depicted on film of any medium or genre, and how the relationship between the parents and the home in which they live reflect changing societal norms in Japan. Well-worth a look. Japanese Cast Interviews (47 min. ; HD): The lengthiest of Mirai's interviews is a series of interviews with the cast. The first – hosted by Hiroyuki Amano – features Moka Kamishiraishi (Kun), Haru Kuroki (Mirai), Kumiko Aso (Mother), and Gen Hoshino (Father). Among the highlights are Kamishiraishi and Kuroki each having originally auditioned for the other's role, the progression of their characters over the course of the film, answering whether or not they have children or siblings and how that influenced their performances, special memories from their childhoods, and the revelation that the Mysterious Man's final line was an ad-lib. Next, Kamishiraishi and Kuroki speak about the research and preparation they did to get into the minds of their characters and their reactions to the screenplay. Afterwards, Hoshino discusses the presentation of Japan in this "cult movie for children", followed by Aso noting how much she could relate to her character being a mother herself. All four speak about their impressions of director Mamoru Hosoda, what it was like to work with him, and their great admiration for his films. Mirai at Cannes Film Festival (8 min. ; HD): Mamoru Hosoda is joined by Moka Kamishiraishi for the world premiere of Mirai at Cannes, where it met with a six minute standing ovation. The two of them speak about the impact of seeing the film with such a massive, appreciative audience, the bathtub scene, and the allure of "Mirai" as a title the world over. Oh, and the ever-charming Kamishiraishi shows off the French she'd been studying to properly introduce herself. The New World of Mamoru Hosoda (21 min. ; HD): The most essential of Mirai's extras delves into the making of the film, including a peek at a staggering number of storyboards, the surprisingly daunting challenges of realizing a four year old in animation, and mulling over whether Kun should be voiced by an adult or a child actor. Of particular interest are the interviews with architect Makoto Tanijiri, the storybook papercraft of Tupera Tupera's Tatsuya Kameyama and Atsuko Nakagawa, and real-life bullet train designer Yoshitaka Kameda. They don't just speak about their contributions; they demonstrate how they helped bring Mirai's world to such vivid life. Also included are a look at Hosoda's hands-on direction with the voice cast as well as the recording of the film's score. Mirai in Japan (35 min. ; HD): Mamoru Hosoda introduces the film with various configurations of his cast in Tokyo, Osaka, Hibaya, and Roppongi. Among other things, they speak about particularly memorable summers, who they'd choose to meet if they could travel through time, and what they'd say to their four year old selves. Visiting Studio Chizu (6 min. ; HD): Actor Gen Hoshino is offered a tour of Studio Chizu by Mamoru Hosoda. This includes a look at color samples and character sheets, many different iterations of character designs, script and storyboards that Hosoda timed with a stopwatch, and the unconventional recording process in which all of the actors were in the booth together than than recorded individually. From punk rock to avant garde art, we also learn about Hoshino and Hosoda's artistic spirits in their youth. Mamoru Hosoda Visits Toyama Prefecture (18 min. ; HD): Mirai's director offers host Hiroyuki Amano and actress Moka Kamishiraishi a guided tour of his hometown. 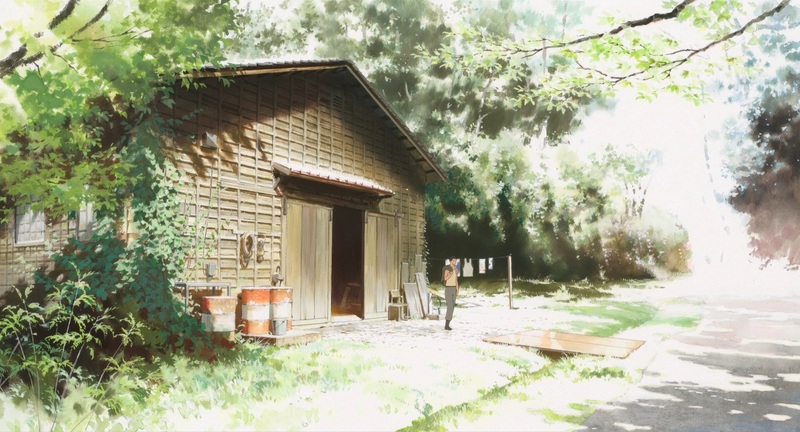 This includes a stop at the house showcased in Wolf Children, Hundred Step Hill, a temple with an imposing stone idol, and the elementary school where Hosoda – much like Kun! – attempted to learn to ride his bicycle. 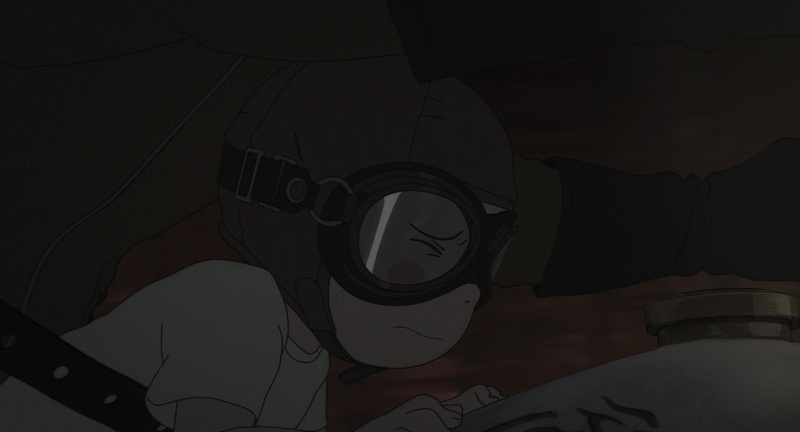 We're also treated to a taste of the local cuisine, hear about the prevalence of water and springs throughout the filmmaker's work, and, upon reconnecting with former classmates and a teacher, printed proof that Hosoda had dreamed of being an animator since childhood. "My Future" by Hosoda and Voice Cast (3 min. ; HD): The director and his cast briefly pose questions to their future selves and detail what they hope to accomplish in the intervening years. Trailers and TV Spots (13 min. ; HD): This lengthy reel showcases five teasers and four trailers, alternating between English and Japanese. Mirai comes packaged in a glossy slipcover. Tucked inside the case are a Movies Anywhere digital copy code as well as an anamorphic widescreen DVD. 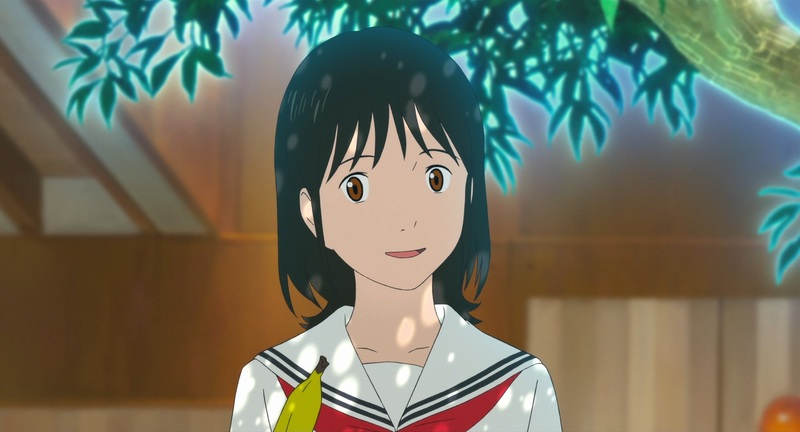 Told from the perspective of an imaginative four year old – and realized through the rarely rivaled craftsmanship and artistry of Mamoru Hosoda – Mirai is a loving celebration of family, determination, and responsibility. Highly Recommended.